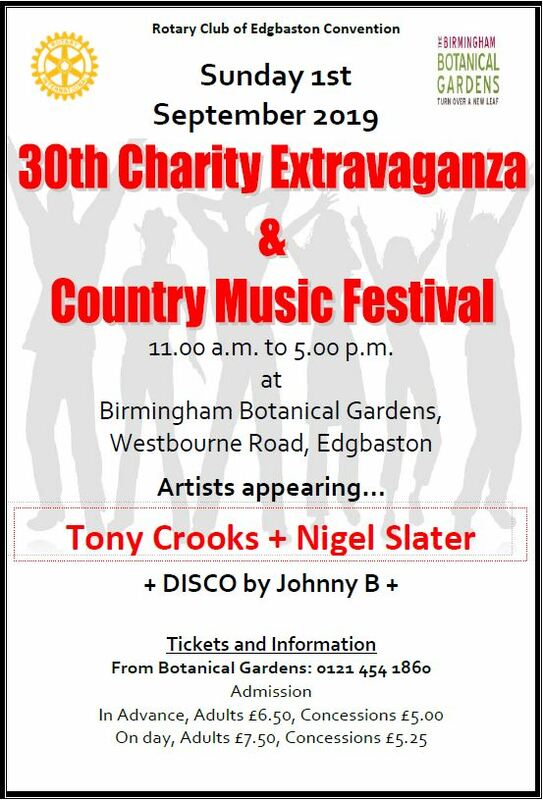 Rotary Club of Edgbaston Conventions 28th annual Country Music Festival and Extravaganza. some attractions that might whet your appetite. the day guarantees you free entry into our prize raffle. this in the mind-blowingly beautiful Botanical Gardens.